Movies in the Park is happening this Friday at Reid Park's Demeester Performing Arts Pavilion, 900 S. Randolph Way. This week's showing is "We Bought a Zoo," starring Matt Damon and Scarlett Johansson. The story is about a father who moves his family to the countryside to renovate and re-open a struggling zoo. Family activities, including face painting, balloon twisters, arts and crafts and performers, begin at 5:30 p.m. The movie starts at dusk, between 7 and 7:30 p.m. Admission for activities and the movie is free, but you'll need money if you want to purchase food. Contact reporter Angela Pittenger at 573-4137 or apitteng@azstarnet.com. Follow her on Twitter @CentsibleMama or on Facebook at facebook.com/centsiblemama. 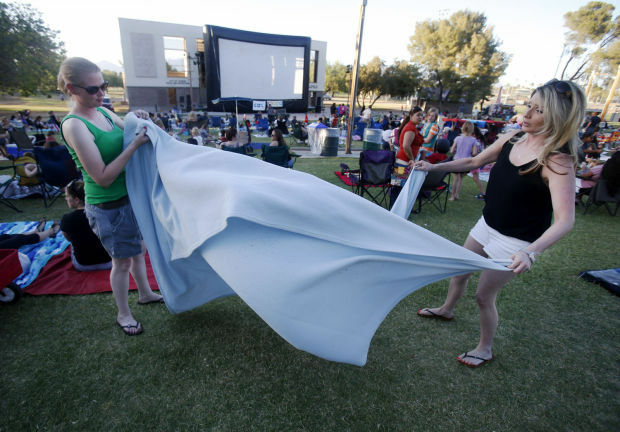 Kid-friendly films center of first Friday monthly event.